● Your image is mounted on to 1/4" thick wood, we then custom build a 3/4" thick wood frame and fasten it to the back. ● Each ColorBox has a beveled edge which can be covered with one of our 30+ edge color options. 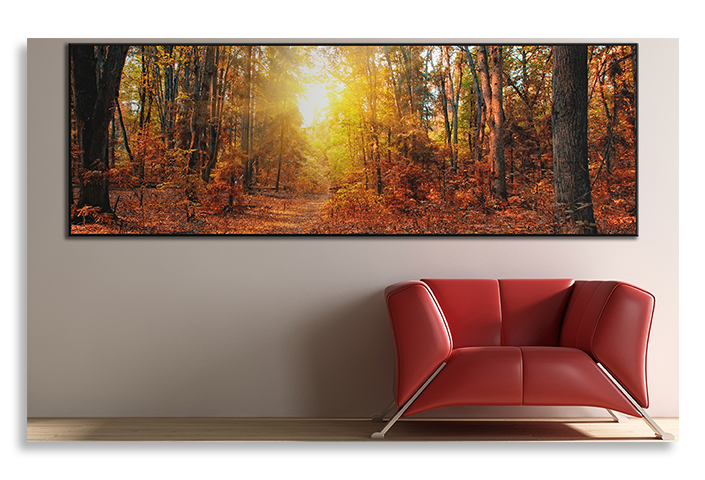 ● The ColorBox comes with our keyhole hanging system and felt pads to protect your wall. ● The overall thickness of the ColorBox is 1 inch. ● This product can be cleaned using most house hold window cleaning products. ● The matte finish minimizes glare for optimal viewing from any angle.